How do I help keep my indoor air environment clean? How can I keep my carpet clean longer? Why does my carpet look run down in the walking paths? 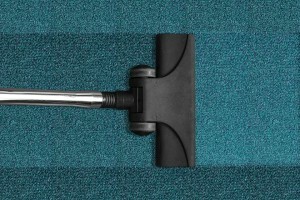 Why should I have my carpet professionally cleaned when it looks clean? In our day to day janitorial services and carpet cleaning we see a LOT of carpet. Some good, some bad and some in dire need of replacing. One of the most common questions I’m asked is, “How can I keep my carpet looking nice?” Let me see if I can answer this and the questions above without writing an entire novel. If you stop and think about it, carpet is just a bunch of strands of nylon. Or wool. Or whatever your carpet happens to be made of and these fibers act as little fingers grabbing debris and dust particles from the air. This can lead to “poor indoor air” if not properly maintained. Let’s think about a sponge. You use a sponge to clean dishes, wipe down your countertops and sink and all the while you are rinsing the “debris” from the sponge and wringing it out just to continue using it. If you’re anything like me you may even throw it in the dishwasher to be cleaned and “sanitized” before using it next time. Your carpet can be thought of the same way (except most of us can’t rinse and wring out our carpet ourselves). Your carpet needs to be rinsed (vacuumed) at least once a week to remove the dust and debris accumulating on it everyday. Cleaning and sanitizing is best left to the professionals. This can be performed by various different methods but the most common is Hot Water Extraction (commonly called Steam Cleaning). How often HWE (hot water extraction) cleaning should be performed will vary based upon use, outdoor environment, pets, etc…but every 6 months to 1 year is common. Most carpet manufacturers recommend yearly HWE cleaning. Moving on to question number 2: I’m sure you’ve already figured out part of the answer to number 2 but in case you didn’t let me tell you that regular, weekly vacuuming will help keep your carpet clean longer. This will help prevent the dust and debris from making its way deeper into your carpet. Another cost effective way to help protect your carpet is by simply purchasing a mat, or two, for all of your entrances. Exterior mats can be more aggressive, usually used for scraping the dirt and debris off of your shoes, while the interior mat would look more like your traditional carpet mat. This will allow a place for any initial soil to be “walked off” before it can be carried over into your carpet thus keeping your carpet a little cleaner for longer. The best part about this is that mats are cheap and can be replaced easily unlike your wall to wall carpet. So why does my carpet look run down or grey in the walking paths you ask? Well this is most likely caused by soil, ground into carpet fibers, that has scratched and/or abraded the carpet fibers. This “wear” will continue to be present even after the carpet has been professionally cleaned. If you get down on your hands and knees and closely inspect your individual carpet fibers what you’ll most likely see is a frayed carpet fiber really similar to a split-end in hair. Just because the carpet looks “grey” after cleaning does not mean your carpet cleaner did a poor job. Lastly, why should I have my carpet cleaned even though it looks clean? Well, when was the last time you had your carpet professionally cleaned? If you’re shrugging your shoulders and pondering this question then you’re in the majority. Most people, myself included, cannot remember when’s the last time they’ve had their carpet cleaned. In the answer to question number two I remarked that regular vacuuming “will help prevent the dust and debris from making its way deeper into your carpet” so just because your carpet does not “look” dirty chances are it is. Those airborne contaminants land on your carpet and are ground in from regular foot traffic. This is happening all day everyday and by the time your carpets look dirty they are filthy (sorry to be the bearer of bad news). If you see soil on the top of your carpet just imagine how it looks under that soil. And don’t forget that every time you walk on your “dirty” carpet it is grinding the soil into the carpet fibers and creating irreparable damage. I think it’s best to not picture this and just have it cleaned. Next time you’re walking barefoot on the largest air filter in your home (your carpet) don’t forget that you need to wring it out once a week and have it cleaned and sanitized periodically.